RIJASOLO | AMPARAFARAVOLA - Mr. Rakotondraoasy Joelson, 54, married, is a Protestant pastor and founder of the FILAMATRA church based in the commune of Ambalafarisoa-Amparafaravola (Eastern Madagascar). 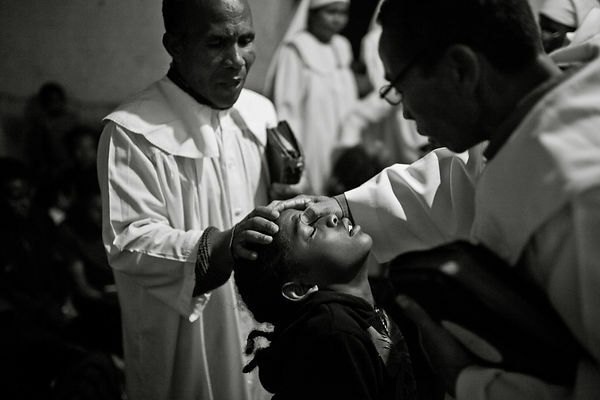 Pastor Rakotondraoasy founded his church in 2012, considered as a sect by the Protestant Church. He was previously pastor of FJKM (the most important Protestant Church in Madagascar) since 1987 after studying theology in Madagascar. Speaking in perfect French, erudite in religious philosophy, he explains that he was excommunicated from the FJKM church for having established rituals and incantations forbidden by Protestant dogma: direct "connection" between the Holy Spirit and Humans, parishioners in a trance, strict application of Old Testament dogmas and rejection of the New Testament, healing by imposition of hands, etc. 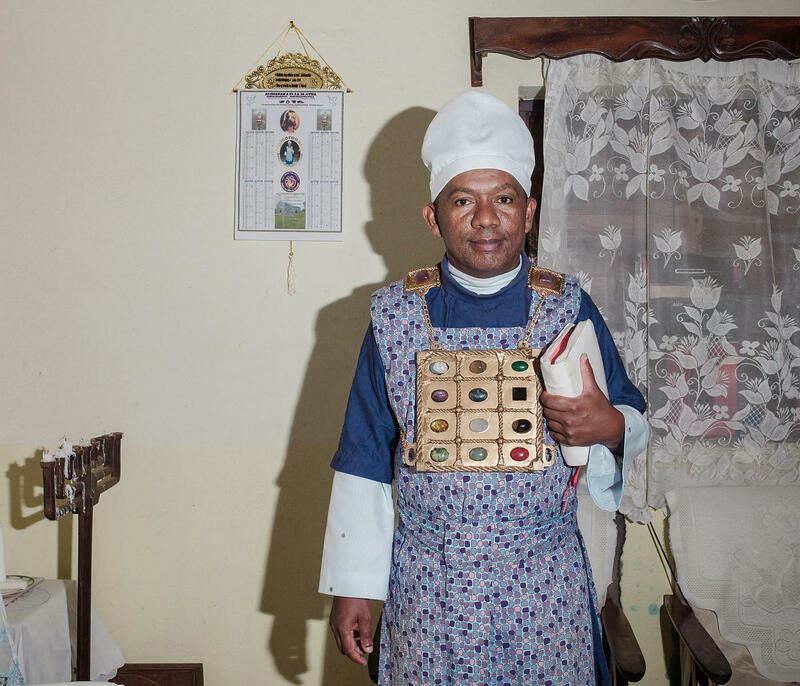 With his FILAMATRA church, the pastor is now free to practice his religion as he sees fit. He says he is still a Protestant in his Faith. He is very proud of his 2000 faithful, whose number grows every year, according to him, and his "synagogues" that he opened in Madagascar, Reunion, the United States and soon in Ivory Coast. He believes a lot in social networks as facebook to promote his movement. If his finances allow it one day, he plans to build a temple on the same model as the famous Temple of Solomon in Jerusalem. But his presence in the area is quite controversial since seven young girls from his church were seen pregnant for no reason and at the same time. "The work of the Holy Spirit" according to Pastor Rakotondraoasy, the work of the pastor himself according to the local press. AMPARAFARAVOLA - Mr. Rakotondraoasy Joelson, 54, married, is a Protestant pastor and founder of the FILAMATRA church based in the commune of Ambalafarisoa-Amparafaravola (Eastern Madagascar). Pastor Rakotondraoasy founded his church in 2012, considered as a sect by the Protestant Church. He was previously pastor of FJKM (the most important Protestant Church in Madagascar) since 1987 after studying theology in Madagascar. Speaking in perfect French, erudite in religious philosophy, he explains that he was excommunicated from the FJKM church for having established rituals and incantations forbidden by Protestant dogma: direct "connection" between the Holy Spirit and Humans, parishioners in a trance, strict application of Old Testament dogmas and rejection of the New Testament, healing by imposition of hands, etc. 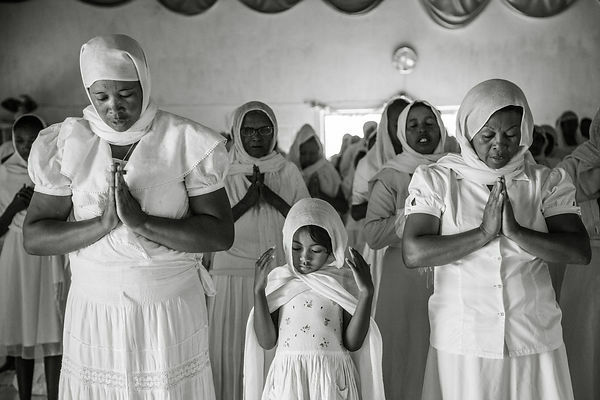 With his FILAMATRA church, the pastor is now free to practice his religion as he sees fit. He says he is still a Protestant in his Faith. He is very proud of his 2000 faithful, whose number grows every year, according to him, and his "synagogues" that he opened in Madagascar, Reunion, the United States and soon in Ivory Coast. He believes a lot in social networks as facebook to promote his movement. If his finances allow it one day, he plans to build a temple on the same model as the famous Temple of Solomon in Jerusalem. But his presence in the area is quite controversial since seven young girls from his church were seen pregnant for no reason and at the same time. "The work of the Holy Spirit" according to Pastor Rakotondraoasy, the work of the pastor himself according to the local press.